The neue Frau or New Woman was a subject of intense public debate that was reflected and, furthermore, substantially shaped by photography: for example, in pictures of female athletes and dancers, or in new genres for the illustrated press, such as the “photo essay” pioneered by studio photographer Yva (Else Neuländer-Simon). The model of the assertive, controversial New Woman upset conventional roles for men and women alike. 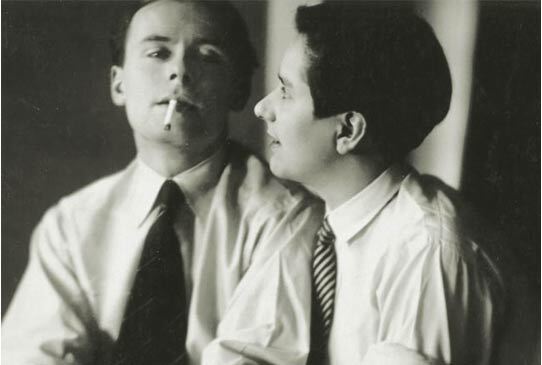 In male portraits by Lucia Moholy, Trude Fleischmann, and Éva Besnyő, subjects have a distinctly effeminate cast, while others by August Sander or Lotte Jacobi capture the “androgyny chic” of certain German cultural circles. From the kitsch of the Viennese Atelier Manassé to the extremism of Hans Bellmer, photographers of this era brought an understanding of gender identity as masquerade radically to the fore.